At Spark Sleep Solutions, our mission is to help our patients achieve the deep, restful sleep they deserve, and we’re proud to offer a variety of noninvasive sleep apnea treatments to help achieve that goal. Great sleep is something everyone deserves, and for good reason: sleep loss is a serious problem that can have much more drastic, dire consequences than you might initially think. Far from being an inconvenience, lack of sleep is a health concern – and if left untreated long enough, it can threaten the quality of life, health, and even lifespan. Study after study has conclusively shown that restful, quality sleep is vital to functioning at our best from both a physical and mental perspective – and that means that a lack of that sleep impairs both our bodies and our brains. People who don’t get enough sleep are more prone to accidents and errors, more susceptible to mood swings, and more irritable. Sleep also impairs cognitive thinking and judgment, making it more difficult to make good choices. But just how serious is this impact? Quite serious, as it turns out. Insufficient sleep has been linked to a 10x increase in the risk of depression – and because depression can actually interfere with sleep, this creates a vicious cycle that exacerbates the problem. Lack of sleep impairs our ability to form both short-term and long-term memories, as well as interfering with test-taking ability. And the most striking statistics? Sleep loss is correlated with death. In a British study, researchers found that people who get less than 5 hours of sleep are fully 15% more likely to die of any cause at any given time – and that this level of sleep loss also doubles the risk of death from cardiovascular disease, the number one killer in the US. Great sleep isn’t just something you deserve – it’s a health imperative. And at Spark Sleep Solutions, we’re committed to helping you achieve it. Our convenient, noninvasive oral appliance therapy makes it easy to treat sleep apnea without a CPAP machine, giving you the healing, restful sleep you need without uncomfortable face masks and inconvenient machinery. Call us today at (408) 490-0182 or reach out to us at our contact page to schedule a consultation. 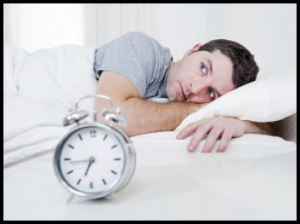 We’ll help you overcome sleep apnea and not only improve the quality of your sleep, but the quality of your life.